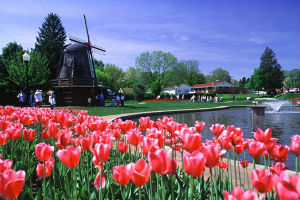 We will take a step back in history and see the beauty of blooming spring tulips on our Pella adventure! We will admire the amazing recreation of the "Sistine Chapel" located on the ceiling of the Galleria de Paco, as we enjoy our delicious dinner, before exploring the seven authentic German villages of the Amana Colonies. All this and more before arriving in Pella for the beautiful Pella Tulip festival. Here we will learn about the history of Pella, known as the "City of refuge" From entertaining clog dancers to ceremonial street scrubbing, this is a trip to remember! This escorted tour includes deluxe motorcoach travel, luggage handling, 3 breakfasts, 2 dinners and 3 nights accommodations.